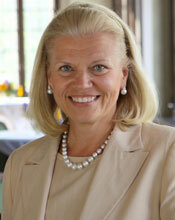 I was pleased to learn recently that IBM’s new president and CEO is Ginni Rometty. She is the first woman to head the company. Prior to being named CEO she held the position of Senior Vice President and Group Executive Sales, Marketing and Strategy for IBM. She may be familiar to some of you as she has been has been named to Fortune magazine’s “50 Most Powerful Women in Business” for seven consecutive years, ranking #7 for 2011. As I read Ginni’s biography, it seemed very clear that she was destined for this phenomenal career opportunity of a lifetime. In 1979, she graduated from the Robert R. McCormick School of Engineering and Applied Science at Northwestern University with high honors, receiving a bachelor’s degree in computer science and electrical engineering. After graduating in 1979, Ginni worked for General Motors Institute. In 1981, she joined IBM as a systems engineer in its Detroit office. She joined IBM’s Consulting Group in 1991. In 2002, she “championed the purchase of the big business consulting firm, PricewaterhouseCoopers Consulting, for $3.5 billion.” Rometty became senior vice president and group executive for sales, marketing and strategy in 2009. Rometty is “credited with spearheading IBM’s growth strategy by getting the company into the cloud computing and analytics businesses. She has also been at the helm of readying Watson, the Jeopardy! playing computer, for commercial use. Her predecessor, Sam Palmisano stated, “Ginni got it because she deserved it… It’s got zero to do with progressive social policies.” Palmisano will retain his position as chairman. Ginni serves on the Board of Trustees of her alma mater Northwestern University, as well as on the Board of Overseers of Memorial Sloan-Kettering Cancer Center. She also served on the Board of Directors of AIG from 2006 until 2009. It is safe to say that IBM is in good hands with a strong woman at the helm. Notes to Women wishes her all the best and great success. Congratulations, Ginni.You deserve it. Naissance (nay-SAHNS) lives in a tiny shanty home in Haiti. Like many in her homeland, she cannot read or write. She makes a meager living by selling boiled eggs and bananas on the street. Five years ago her teenage son gave his life to God and joined the Adventist Church. He urged his mother to attend church with him and even gave her Bible studies, but she resisted his efforts and refused to surrender her life to God. So her son turned to prayer. Naissance had nothing except the clothes she was wearing. She fled to the only place of safety she knew—her son’s church. A deacon invited her inside the gate and showed her where she could stay outside the church. No one ventured into the building for fear of another earthquake. Church members gave Naissance what food they could and someone found a tarp under which she could sleep. Dozens more people came to the church for safety, and soon the churchyard was filled with people. Naissasnce PhotoThree days later the evangelistic meeting that had been interrupted by the earthquake resumed outside the church. A woman preached powerfully but simply, and Naissance listened with an open heart. At last she understood what her son had been trying to tell her—that God loves her and wants her to become His child. She responded and was baptized with more than 240 others following the meetings. Our mission offerings help fund evangelism in Haiti and around the world. And the Thirteenth Sabbath Offering taken last December will help rebuild many of the churches and school facilities that were damaged or destroyed in the worst disaster ever to strike Haiti. Thank you for sharing. Source: General Conference Office of Adventist Mission. God gave Naissance a second chance and the opportunity to know Him and to become His child. He said, “You’re absolutely right! You’ve heard of motivational speakers? Well, I’m an aggravational speaker. Instead of motivating people, I aggravate them. I tell them, ‘Stop whining. Stop complaining. Stop feeling sorry for yourself. You’ve got yourself into this mess, now pull yourself up by your bootstraps, and get yourself out. '” I liked his enthusiasm, but I knew his message missed the mark. Isn’t it good to know your heavenly Father celebrates you instead of just tolerating you? He does not wish to aggravate or irritate you. No matter what your circumstances, you have a reason to rejoice. God really loves you. That, my friend, is a reason to celebrate! Yes, we have reasons to rejoice and to give thanks everyday. We have a Father in heaven who loves us and wants what’s best for us. I must admit that I didn’t know that Liberia’s current president was a woman. I found this out recently when my husband and I were watching TV. Elections are just around the corner. 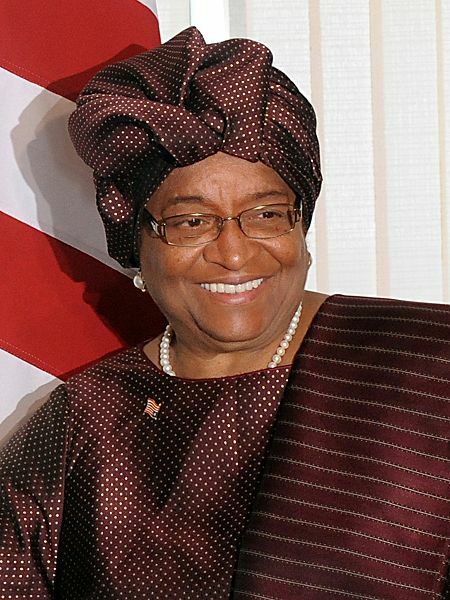 Ellen Johnson Sirleaf is the 24th and current President of Liberia. She served as Minister of Finance under President William Tolbert from 1979 until the 1980 coup d’état, after which she left Liberia and held senior positions at various financial institutions. She placed a very distant second in the 1997 presidential election. Later, she was elected President in the 2005 presidential election and took office on 16 January 2006. Sirleaf is the first and currently the only elected female head of state in Africa. Just recently Sirleaf was jointly awarded the 2011 Nobel Peace Prize. The other recipients were peace activist Leymah Gbowee, from Liberia and Tawakkul Karman of Yemen — the first Arab woman to win the prize. The three women were recognized “for their non-violent struggle for the safety of women and for women’s rights to full participation in peace-building work”. Sirleaf’s opponents view her peace prize as an unfair advantage going into the elections which are scheduled to occur tomorrow, Tuesday, October 11. Despite the criticism, Sirleaf is still widely viewed as a top contender. Sirleaf has been criticized for her early financial support of Liberia’s warlord-turned-president Charles Taylor, now on trial for war crimes and crimes against humanity in The Hague. A coup launched by Taylor in 1989 led to 14 years of civil conflict in Liberia that claimed more than 250,000 lives. It is true that initially Sirleaf supported Taylor at the outbreak of the first Liberian Civil War in the rebellion against Doe by helping to raise funds for his cause. However, she later went on to oppose him. 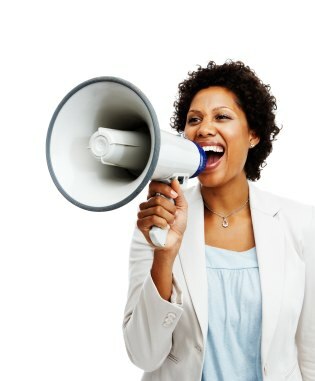 Sirleaf once declared, “Africa is ready for a female president. Women all over are poised to enjoy this victory.” On 23 November 2005, Sirleaf was declared the winner of the Liberian election and confirmed as the country’s next president. Her inauguration, attended by many foreign dignitaries, including United States Secretary of State Condoleezza Rice and First Lady Laura Bush, took place on 16 January 2006. Yes, women all over the world were able to enjoy her victory. We hope that there will be another one tomorrow. We also hope for a democratic, violence free election which would be ideal for Liberia. Our thoughts and prayers are with the people of Liberia as they go to the polls and vote in their second post-war election. Why are some countries able, despite their very real and serious problems, to press ahead along the road to reconciliation, recovery, and redevelopment while others cannot? These are critical questions for Africa, and their answers are complex and not always clear. Leadership is crucial, of course. Kagame was a strong leader–decisive, focused, disciplined, and honest–and he remains so today. I believe that sometimes people’s characters are molded by their environment. Angola, like Liberia, like Sierra Leone, is resource-rich, a natural blessing that sometimes has the sad effect of diminishing the human drive for self-sufficiency, the ability and determination to maximize that which one has. Kagame had nothing. He grew up in a refugee camp, equipped with only his own strength of will and determination to create a better life for himself and his countrymen. I was frustrated that despite my repeated calls, the streetlight in front of my house was still out. Because we don’t have sidewalks and there is such a large distance between the streetlights, it’s important that each light is functional to illuminate the darkness. I worried that I might hit one of the school kids as I pulled out of my driveway in the early morning hours. A light that doesn’t shine has lost its usefulness. Jesus said that no one hides a light under a basket but puts it on a lampstand to illuminate everything around it (Matt. 5:15). Our light (our actions) should point people to the One who is the Light. We don’t have any light in ourselves, but we shine with the reflection of Christ (Eph. 5:8). God has placed each of us in a specific environment that will best allow us to shine with His light. Don’t be like a burned-out streetlight. Shine on! or a beacon on a hill, let your light shine. When I do worship with my three year old son, I like to sing, “This Little Light of Mine”. It says that “everywhere I go, I’m going to let it shine.” We should let our lights shine whereever we are. Our actions should reflect that we have Christ in our lives. 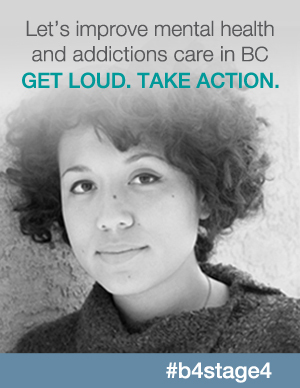 It’s not enough to say that we are Christians–we must act as such. Our lights should lead people to the Light who came into the world over two thousand years ago. Let God’s light shine through you in the place where He has placed you. Allow others to be drawn to Him through you.